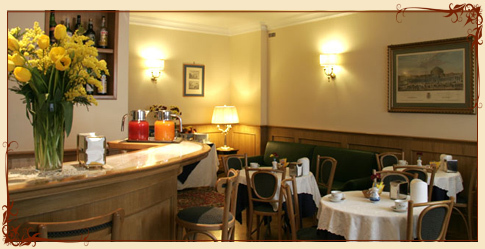 As well as the common areas, Hotel Leopardi also has 15 rooms. Among the wooden wall panels and parquet, wooden furniture and precious fabrics, guests find themselves in a warm and elegant atmosphere. All rooms come with a private bathroom, with a shower and hairdryer, with double, twin, triple and quadruple rooms available to satisfy the needs of all our clients. With lively colors and a bright appearance, these rooms are very comfortable thanks to its modern fittings. A minibar, air conditioning, color TV and telephone make the rooms of this 3 star hotel in Naples an ideal solution for business trips or a pleasant holiday while discovering the beauty of this city. We also have a guarded, special rate garage and, on request, we can organize transfers (airport/railway station/port). Price includes taxes and service.